José Urutau Guajajara is one of the key leaders in the movement for indigenous rights in the city of Rio de Janeiro. Raised in the Guajajara Village in the Brazilian state of Maranhão, he moved to Rio as a young man to study and work. 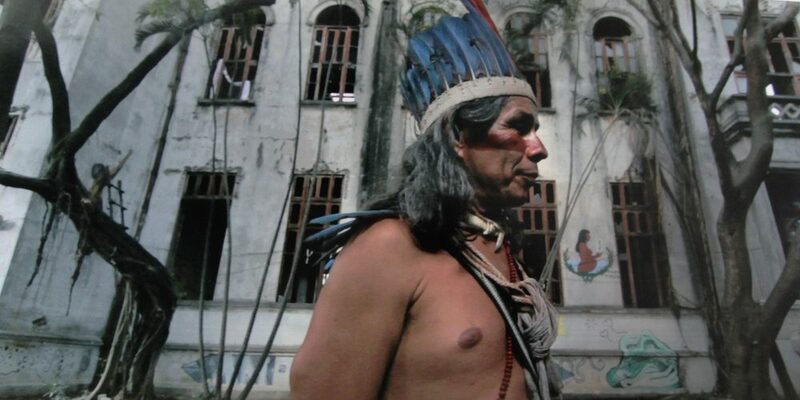 In 2006 he and a group of people of various indigenous ethnicities founded Aldeia Maracanã (Maracanã Village) in an abandoned building that once housed the Indigenous Museum, just steps from the Maracanã Stadium. 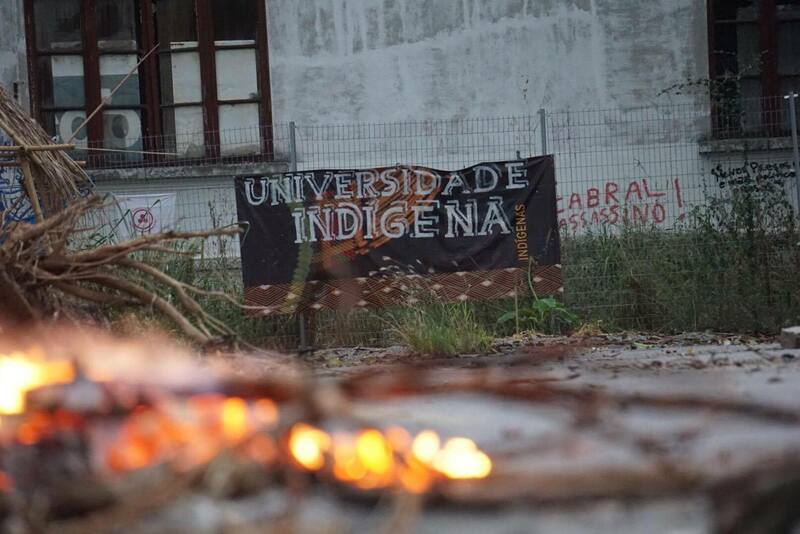 Though the group was forcibly evicted prior to the 2014 World Cup, Aldeia Maracanã reoccupied the site and is in the process of creating an Indigenous University on site. Guajajara is a researcher in linguistics at the National Museum of the Federal University of Rio de Janeiro (UFRJ) and professor of indigenous language and culture at FAETEC-ISERJ. He lives in the neighborhood of Tomás Coelho at the Caiuré Center for Environmental and Sociocultural Ethno-knowledge (CESAC), a community space for the urban indigenous population. 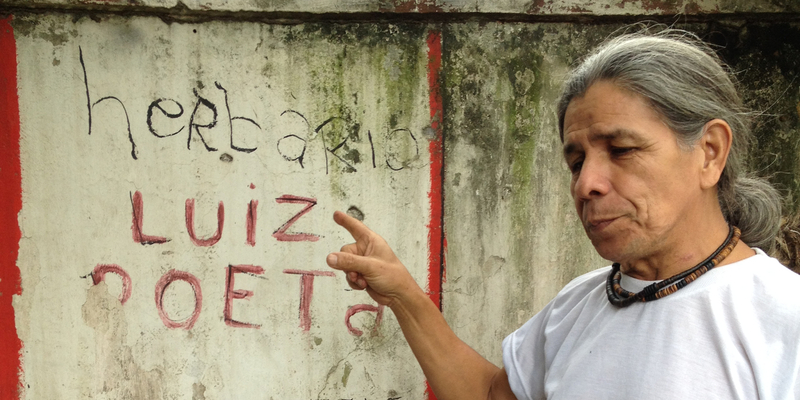 RioOnWatch spoke with Guajajara about his life, his work, and the indigenous movement in Rio. RioOnWatch: What is your full name? What does it mean to be Urutau and to use an indigenous name? Guajajara: José Urutau Guajajara. Urutau is a kind of owl. In Maranhão there are lots of owls. But my given name is Christian; it’s from the Catholic church near my village. They gave me the name José Wilhame Pinto Araújo because of the Christian influence. It was only after the Convention of 1988 that we won the right to use our Ze’egté names, our native language names. RioOnWatch: Do you know how many Ze’egté speakers there are? Guajajara: 30,000 in Maranhão. In Rio there are 150 Guajajaras who speak Ze’egté, all spread out. They’re not all living together as a group, they’re not in villages. That’s why I feel like I have to speak the language. Because language is the only form of resistance a people and a nation have. So to also maintain one’s indigenous language in big urban centers is very important. RioOnWatch: Can you tell me a bit of your story? Where were you born and what was your childhood like? Why did you come to Rio de Janeiro? Guajajara: I was born in a village called Lagoa Comprida, in the state of Maranhão, near the city of Jenipapo dos Vieiras. I came to Rio de Janeiro to study, and also to work. When I left the reservation I was about 13 or 14. I went to Barra do Corda [in Maranhão] to study. I spent almost ten years studying in Barra do Corda. I had relatives in Rio de Janeiro who invited me to come join them. I came to Rio de Janeiro and finished my studies. I took a break from studying for more than 15 years, and then decided to continue. I was offered a scholarship to study education at the Universidade Estácio de Sá (UNESA) and then shortly after, around the year 2000 or so, I heard about an indigenous languages program at the Fluminense Federal University (UFF) in Niterói. I went there to study languages as a graduate student. After that, in around 2007 or 2008, UFRJ’s National Museum Graduate Program in Social Anthropology (PPGAS) was offering an indigenous languages program, [in the field of] linguistics. So I joined them. That’s where I planned my project, which was [to research the] structure of Ze’egté, the language of the Tenetehára-Guajajara. I had to do this for my Masters degree. I did my Masters in Indigenous Languages. RioOnWatch: What was your research on? Guajajara: It was a comparative study of the structure of Ze’egté. I included a comparison with the English language, whose structure is more or less similar, often going backwards [as compared to Portuguese]. And with Portuguese as well. I had to do a comparative analysis of the structure, of the phrasing. And [my research] also takes into account phonetic differences among Guajajara speakers, differences between Guajajaras from distant reservations. The language is very interesting to me because it’s a way to give something to my people, and give something to Brazil. There aren’t many specific studies of [indigenous] languages in comparison to the structures of other languages. The subject of indigenous languages is not very developed. Only a few academics study it. Let’s not even talk about the schools—grade school, high school, much less the university. After 517 years [since Portugal first colonized Brazil], there’s still no curriculum in the schools on indigenous issues. Our indigenous movements are trying to implement a curriculum. RioOnWatch: What’s your perspective on the indigenous people who live in the city? Guajajara: Since the dominant culture is very strong, they change. The head changes and the person changes. Indigenous people don’t believe in themselves. They reject themselves. This rejection comes from the influence of the dominant culture, in all its forms: spiritual, ethnic, in the language, and the entire culture in general. It’s a psychological erasure, a complete erasure. It’s very difficult to practice your culture, especially in urban spaces and in the communities. You’ve got to be living with relatives, or else you don’t practice and you’re swallowed up by the dominant culture. So you can’t reject it. For those of us, like me, who want to try to understand how this erasure happened, it’s very difficult to study and work on this. 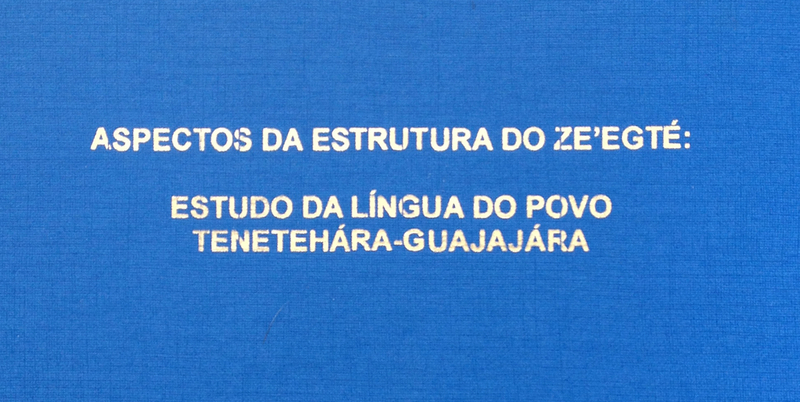 Turning now to my PhD in social anthropology at UFRJ: how can we understand these issues in the urban context? Not many people are thinking about this, not many academics talk about it. Academics want to study indigenous people in the Amazon, in Mato Grosso. Is that because they have this image of naked indigenous people with bows and arrows? It’s the image of savage Indians, who don’t speak Portuguese, only their native languages. So, all the studies are based on this virtual indigenous person, this fictitious indigenous person, the indigenous peoples from 1500 and before 1500. So when you try to talk about a cruel, real, current issue… yes, it’s really a challenge. RioOnWatch: You mentioned the Aldeia Maracanã and CESAC’s project to plant vegetable gardens and medicinal plants. What does that mean for indigenous people and culture? Guajajara: We have a very strong connection with phytotherapy, medicinal remedies, medicinal plants, and we plant them in the garden at the Aldeia Maracanã. We’re excellent doctors. You have a stomachache? Diarrhea? Take guava sprouts, it’s very good. Eat the guava, eat the sprouts, eat the leaves and you’ll feel better soon. RioOnWatch: Is that a way to preserve indigenous knowledge? Guajajara: Traditional knowledge is in the blood of every Brazilian. We have the pharmaceutical industry on the other side, trying to rob us of our traditional knowledge. Not long ago, this community [Parque Nova Maracá—also in the Tomás Coelho neighborhood] didn’t have a single pharmacy. Not one in the whole community. Instead the pharmacy was all the kinds of plants, all the kinds of medicinal herbs that were here. It’s no different in the Aldeia Maracanã; it’s the same thing. They’re household plants, plants we’ve known all our lives, and we go on living with this, learning and practicing. RioOnWatch: Where did the idea to create CESAC come from? What was the process? Guajajara: I was invited to participate in the big meeting called the Earth Summit. 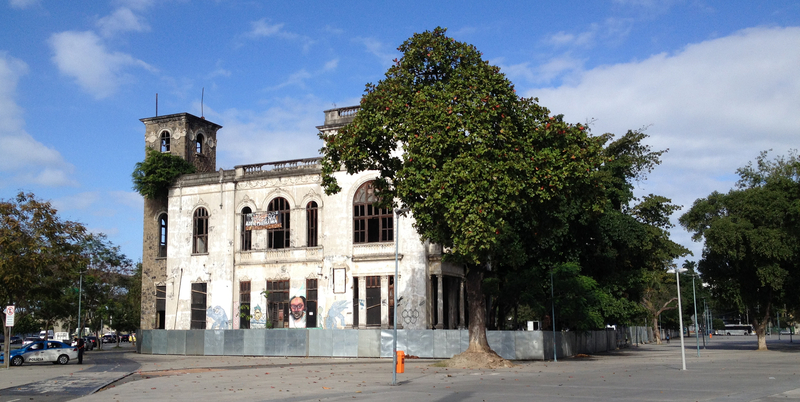 It took place here in Rio de Janeiro, at the Aterro Park in Flamengo. Indigenous people from all over the world were here. So then twenty years after having participated in that event—a lot happened in the indigenous movement in those twenty years—we were growing our understanding of indigenous movements in urban centers, in Rio de Janeiro, for example. That’s when we realized we needed a space. We took over [the building], which was an old electrical power station. 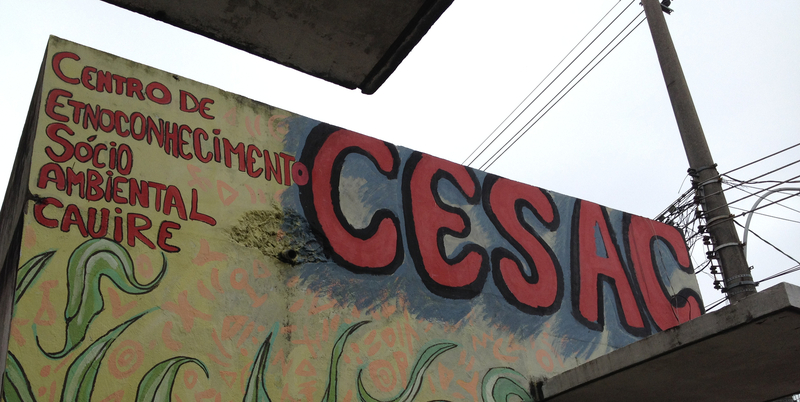 I came to live [at CESAC], here in the favela. So we’ve been in Tomás Coelho for about twenty years, in this organization which is an indigenous organization. But we let other groups use the space, too—street groups, circus groups. It’s a multi-use space. We also [use it] for meetings because it’s a very big space. 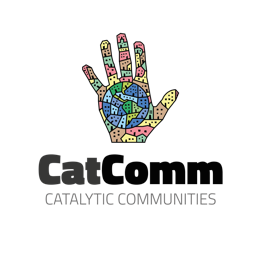 It’s a place to host our relatives, indigenous people from all over Brazil, indigenous people who need a place to stay, who can’t afford other accommodations. RioOnWatch: You’re known as a leader of the Aldeia Maracanã, another indigenous space in the city. What was the process of retaking that place and creating an urban village? Guajajara: After [founding CESAC], we started the Aldeia Maracanã. In 2006, on October 20, we took over the former Indigenous Museum in Maracanã, which had been completely abandoned. But it was still tied to the Ministry of Agriculture. So we took on the project of renovating that old building. Only we didn’t know what a big problem we were getting ourselves into and how complex it was. We just went in there looking for the history that had been pretty much completely erased. Our own government had erased it, had worked to erase the history and the memory. And we had no idea of the extent to which the State had made that little micro-territory invisible. So we went in and remade a bit of the memory of that space. We arrived 150 years into the history of that space, which began during the empire. [The building] had belonged to the Duke of Saxe. He gave it to Portuguese Emperor Dom Pedro II. He didn’t specifically mention indigenous people [in the gift], but he said it was for researching natural seeds and the people who cultivated them. At the time, he was talking about the people who cultivated corn—we indigenous people were cultivating corn. The first national school of agriculture was also founded in that building. The indigenous people and all indigenous issues were handled by the Ministry of Agriculture. The first seat of the Protection of Indians Program (SPI) was also located there, beginning in 1910 with Marechal Rondon. RioOnWatch: So, does that location have symbolic power for indigenous peoples? Guajajara: Symbolic, but also written, also documented. The issue of the genocide of the indigenous population is tied to that space. The major expeditions departed from that spot, because it was the national office, being in [what was then] the capital of Brazil. The Telegraph Expedition, the Xingu Expedition departed from there and killed many indigenous people. The Figueiredo Report covers the 1960s. President Médici put it this way: he said he wanted to give “land without men to men without land.” That president was saying, in that moment, that we indigenous people are not even human beings. 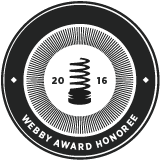 So it’s highly symbolic, but not merely symbolic; it’s also very real. On April 19, 1953, on the day of the Indian, Darcy Ribeiro founded the National Indigenous Museum. After that, people began to speak out against the SPI: for the extermination, death, and assassination of indigenous people. And then, in 1967, the national government got rid of the SPI and replaced it with just a foundation, the National Indian Foundation [FUNAI]. Also in that same space. RioOnWatch: How many families are in Maracanã Village at the moment? Guajajara: There are only three families now, because the people make a living selling handicrafts, and everyone went somewhere else to sell, since they can’t sell anything in that space. The only way to survive these days is by selling handicrafts. RioOnWatch: What is the current situation in terms of the removal of the occupation? Are they in danger of being forced out again? Guajajara: In 2007, [we had] a big problem. The Pan-American Games came in to kick us out [of the space]. Then in 2012 in the run-up to the World Cup they also tried to kick us out, and they actually did kick us out in 2013 for the first time. We were arrested; I was arrested. We returned to the building, they kicked us out again, they arrested us again. Now there’s [evictions]—we were just talking about that today. And they’ll kick us out again. They do that because they’re working in the service of capital, of big capital. RioOnWatch: For you, what is the occupation and the resistance movement’s power in opposing the government? Guajajara: It’s huge, because all that really sells here is soccer and Carnival. And the pressure is twenty meters away, ten meters. [Rio’s soccer team] Flamengo just had a game there. The fans at Maracanã torment us. They all drink beer, but there are no bathrooms outside [the stadium]. So where do they go? To the Aldeia Maracanã. It’s cruel because it puts us in direct conflict with the drunk fans who want to kill indigenous people, to exterminate us completely. So yes, it’s very harsh, but we’re there resisting. The dominant culture, which only wants to sell soccer and Carnival and extinguish our traditional cultures, has taken everything from us. They’ve turned everything to concrete and asphalt. They’ve gotten rid of all the trees, medicinal plants; they’ve destroyed them all. We’ve complained to IBAMA (Brazilian Institute of Environment and Renewable Natural Resources), we’ve been to the federal government, we’ve filed complaints. But nobody cares, it’s an Indian’s complaint. They take, they cut, they remove trees, cut everything down, lay down asphalt, concrete, build parking lots. RioOnWatch: Do you have hope for the future? Guajajara: I won’t be here to enjoy it; I’ll be gone soon enough. But my daughters are a different story. Unlike a lot of other relatives who are alone, who are engaged in the struggle but living alone, and not putting down roots. They won’t be able to extinguish my daughters. RioOnWatch: How can someone get involved with the indigenous movement in Rio? Guajajara: First by going, first by seeing. If you don’t see, if you don’t go there [to Aldeia Maracanã], there’s no way you can have respect. It’s difficult to understand the resistance. People say everything’s okay, everything’s cool, but we’re here, saying, “No, no, it isn’t.” Brazilian culture is not just soccer and Carnival. You have the traditional culture, too. How to help? First, speak up. Because it was only when other people outside started saying something that the federal government began to put on the brakes and tried to respect the people a little. But if no one speaks up, if there’s no public civic action, we’re just trampled on. It’s cruel that there’s no water, not even electricity [in the Aldeia Maracanã], but there’s a strong will to maintain the resistance there, completely independent of the national government. You can’t buy resistance. We have begun to recognize this. It’s difficult, it’s very difficult to understand resistance. But we’re here, precisely to say that, to be that force of opposition. This article was written by Lucas Smolcic Larson, and published on November 13, 2017.